Through Covenant to Care for Children: Adopt a Social Worker Program, First Church shows the true meaning of giving by purchasing Christmas gifts for a list of 40 to 60 children provided by the Middletown office of the Connecticut Department of Children and Families (DCF) each year. Each child provides two wishes which are written on tags and hung from a Christmas Giving Tree in the Parish Hall. We rely on the donations from members and friends to fill the list each year. And every year we complete the request (and then some), so area children experience the joy of opening a gift on Christmas morning. We start in early November, asking for donations of Wal-Mart, Target and Toys R Us gift cards ($25 to $50) or cash donations. 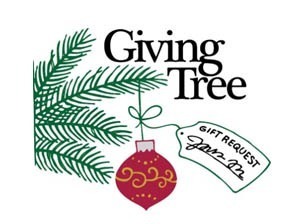 Just prior to Thanksgiving we should have the Giving Tree up so you can select specific gift item tags if you prefer.